Zero sugar and calories. Zero added preservatives. This product is GMO free. This product is gluten free. This product is allergen free. This product is suitable for vegetarians/vegans. 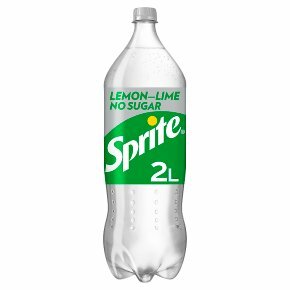 Great Sprite taste, zero sugar A clean, crisp, fresh tasting lemon and lime drink with no sugar or calories. No sugar No calories Natural flavours No artificial colours Caffeine-free Serve ice cold for maximum enjoyment. Contains 8 X 250ml servings. Keep cold in the fridge. Please recycle.